Massively is reporting that Disney has decided to shutdown LucasArts and lay off all of it's employees. It guess its not really surprising, but it marks the end of an era and a sad day for those laid off and their families. layoffs, losing jobs are never good. I've never heard of Lucasrts, what is it's connection to Disney? This isn't related to the A to Z Challenge. I just post little tidbits I find interesting. 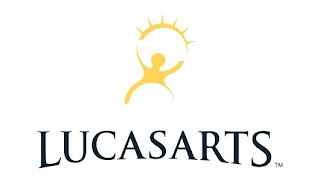 LucasArts is a video game studio founded by George Lucas that has made games for decades and was part of Disney's acquisition of LucasFilm. Wow, the article brings up the question, as to if this will affect The Old Republic MMO, I have the same question. I am also curious if this affects Star Wars 1313, the more or less forgotten Lucas Arts Video Game that has been floating in limbo.